Isabelle Groc: When you saw the film, did you learn something new about the story you had told? John Vaillant: The film is a very different medium. [Snow] really focused on Hadwin, and examining Hadwin’s journey from company man to a radical. I came away more sympathetic to him than I had been, not to his methods…but to his dilemma. This is our collective dilemma as a culture. The story of Grant Hadwin and his relationship to the forest is also our relationship to the forest and to all natural resources. Watching the film moves you to that uncomfortable, weighty realization. We are all extractors, but very few of us extract as directly as people in the logging industry or the mining industry or the fishing industry. They are on the front lines witnessing the true impacts of their behaviour and our collective appetite. It is amazing that more people aren’t driven to the state of confusion and uncertainty and suffering that Hadwin was. He was a sensitive, perceptive guy and he could see that it was unsustainable… and was in many ways wrong. And this is a guy who loved wood. He was not anti-logging. It was about approach and attitude and greed. IG: What is the relevance of that story to the environmental movement today? JV: It is just as relevant as it ever was. It is appalling that [forestry companies] are still logging around the Walbran. It amazes me it is still even legal to cut old-growth forest in British Columbia. At the north end of Vancouver Island they are logging like it is the 1980s – they are just beating it to death. Western Canada has a very primitive, 19th century attitude towards its resources … it is shameful. Canada can do better and we have to do better. IG: What are the lessons the book and the film offer for people who want to take action? JV: First, you can’t do it alone. Second, educate yourself about all the stakeholders. The Golden Spruce was sacred to the Haida. Hadwin was focused on its meaning to the logging community, and not to the Haida community. I don’t think he would have cut the tree down if he had known what it meant to the Haida, and he expressed regret afterwards. The way the film is shot and the way Hadwin lived gets you up close and personal with shattered landscapes. He saw them every day and helped to create them. Sasha’s film very graphically puts you into that world, and shows the contrast between a healthy landscape and an obliterated landscape… how quickly it can happen without regarding the true value of the system or the resource. IG: Is there BC species that you are particularly concerned about? JV: Salmon would be the one species I am most concerned about. I used to work as a commercial fisherman in Alaska, and a lot of salmon passed through my hands. The management there was a model of how you can get rich fishing and allow an ecosystem to flourish. There were fish every year. I saw some of the rivers last summer, how low they were, and this is going to be another hot summer. It is quite frightening. Through the Hadwin’s Judgement screening and other events at the VIMFF, we have raised hundreds of dollars to put towards our Toad People film project. Our aim is to inspire people across BC and beyond to pay attention to the natural world around them, and do what they can to safeguard remaining wild spaces and the species that call them home. 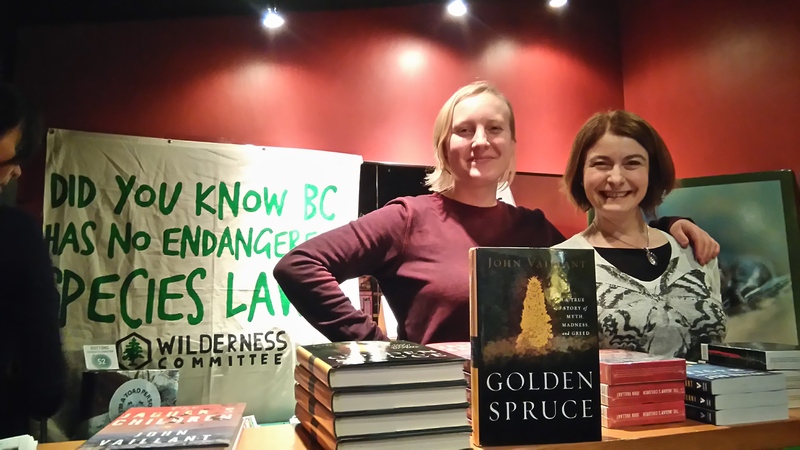 Special thanks to John for his support of our project and the Wilderness Committee’s broader campaign work! “A lot of people are very glad [the Wilderness Committee] is out there,” he said. Thanks John, we’re glad you’re out there too! 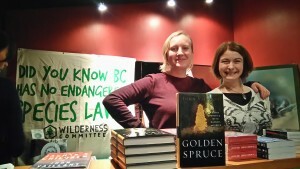 Click here to sign the Wilderness Committee petition to demand endangered species legislation in BC. 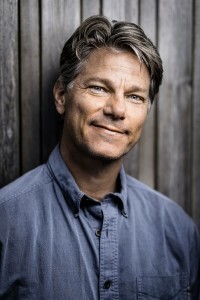 John Vaillant is an author and freelance writer whose work has been published in The New Yorker, The Atlantic and National Geographic, among others. He has written three books, including the award-winning bestseller The Golden Spruce and another award-winning nonfiction, The Tiger. His third book, a novel called The Jaguar’s Children, was released in 2015.